Well, we can think of a few things that are free on the portal … but we won’t go there. Instead, we’ll share some Proxibid humor. 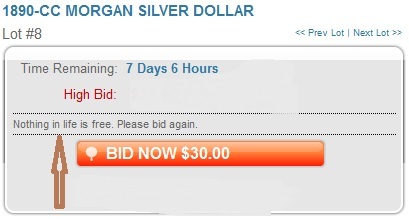 This is the message bidders receive when they put $0.00 in a bid: NOTHING IN LIFE IS FREE! ← Become an Official Sponsor of Proxiblog!